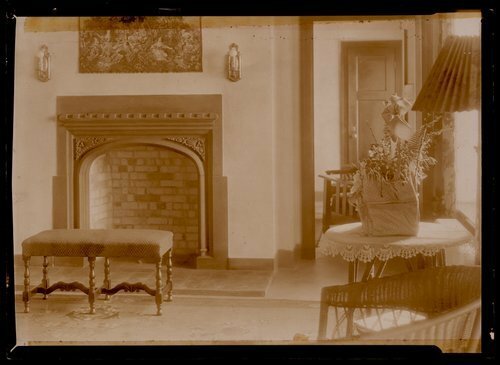 These three black and white photographs show the interior of the East Lodge when it was constructed in 1927. The first is a corner of the living area. The second is a detail of the windows where the bars resemble casement windows. The third is a patient's room with the casement windows. A staff member, John Stone, is posing as a patient. The photographs were used in an A.P. feature article from the Kansas City bureau in 1928 which commented on the "home-like hospital".